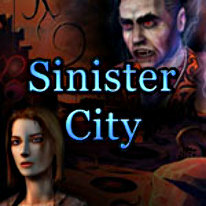 While searching for his kidnapped bride, John arrives in the mysterious Sinister City. Rumored to be overrun with vampies, he finds out that his fiancee has been kindapped by the most powerful vampire in the city, the terrible Count Orlock! Prepare to travel to the astral plane, through ancient castle corridors and many other haunting locales as you help John search for his missing love. Meet Along the way you'll encounter strangers willing to help achieve your goal: a strange, yet kindly hotel clerk, renowned film director Luis Lumiere's grandson, or a noble Transylvanian. Help John save his bride before it's too late!